U.S. death rate in pregnancy, childbirth raises "great concern"
The number of U.S. women who die during or soon after pregnancy may be higher than previously thought -- and it's on the rise, according to a new study. Between 2000 and 2014, the nation's maternal death rate rose by almost 27 percent, researchers found. However, over that time, reporting methods changed, the study authors noted. For every 100,000 live births, nearly 24 women died during, or within 42 days after pregnancy in 2014. That was up from nearly 19 per 100,000 in 2000. The numbers, published online Aug. 8 in Obstetrics & Gynecology, are worse than previous estimates. Federal health officials have already reported a spike in the nation's maternal mortality figures, but they estimated a rate of 16 per 100,000 as recently as 2010. The new findings give a clearer picture of where the United States really stands, according to lead researcher Marian MacDorman, of the University of Maryland. And it's not a good place, her team said: With the 2014 numbers, the United States would rank 30th on a list of 31 countries reporting data to the Organization for Economic Cooperation and Development -- beating out only Mexico. A large share of the national increase does have to do with better reporting, MacDorman said. Since 2003, U.S. states have been slowly adopting a revised standard death certificate that includes several pregnancy "check boxes." But, she said, about 20 percent of the increase reflected a "real" rise in women's deaths. "Certainly, maternal death is still a rare event," MacDorman stressed. "But it's of great concern that the rate is not improving -- it's increasing." "Our study couldn't get into the causes of death," MacDorman said. "We were just trying to get at the numbers." But Dr. Nancy Chescheir, editor-in-chief of Obstetrics & Gynecology, speculated on some factors that could be driving the increase. For one, she said, women in the United States are having babies at older ages, and they are also increasingly likely to be obese and have medical conditions such as diabetes and high blood pressure. So women are now going into pregnancy at greater risk of complications compared to years past. There was a bright spot in the study findings, however: In contrast to other states, California showed a decrease in maternal deaths, reaching an estimated 15 per 100,000 in 2014. That, according to Chescheir, may stem from a "massive public health effort" known as the California Maternal Quality Care Collaborative. 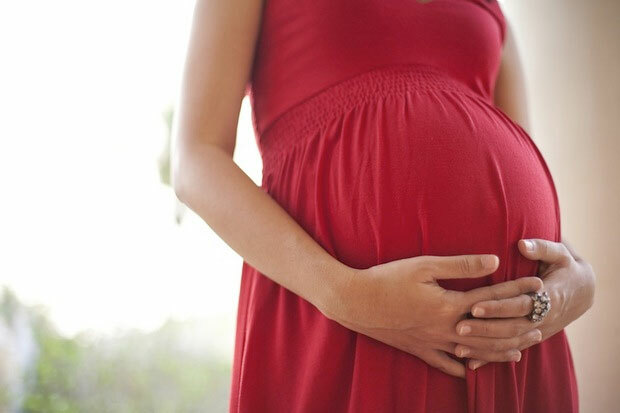 State agencies, hospitals, health plans and other groups worked to identify two leading causes of maternal deaths in the state -- preeclampsia and hemorrhage during childbirth -- and took steps to address them. Among other things, the group created online "toolkits" to help hospitals better manage preeclampsia and hemorrhaging, Chescheir said. "They've done a fantastic job of rolling these resources out," she said. MacDorman agreed, and said other states may be able to learn from California's experience. But when U.S. women die during or soon after pregnancy, it often has nothing to do with obstetric complications, Chescheir pointed out. Violence and drug abuse are major causes. A second study in the same issue of the journal looked at maternal deaths in Illinois between 2002 and 2011. More than one-third were the result of car accidents, homicide, substance abuse and suicide; 13 percent, in fact, were homicides. Chescheir said doctors have a role to play in preventing those deaths, too -- by screening pregnant women for drug usle, domestic abuse and depression, then referring them for help. Doctors should also talk to women about how to use seatbelts during pregnancy, Chescheir said. Some women, she noted, stop using seatbelts because they think they're unsafe during pregnancy. The point is not to alarm women, both Chescheir and MacDorman stressed. "For the vast majority of women, pregnancy goes well," Chescheir said. But, she added, "it's important to remember that pregnancy is a time of some risk." Ideally, Chescheir said, couples should plan ahead for pregnancy -- in part so the woman can get any health conditions under control, and lose weight if needed. "Go into pregnancy in the best health possible," she advised. "That's the first step."